On February 4th and 5th 2017, Dartmoor Railway CIC in conjunction with the Dartmoor Railway Supporters Association will be running an enthusiasts weekend utilising the Polar Express traction before it leaves the railway. The trains will operate over the full length of the line which is over 15 miles. All trains start at Okehampton and will also stop at Meldon Viaduct station giving passengers the opportunity to visit the viaduct that once carried the Southern Railway main line to Plymouth. 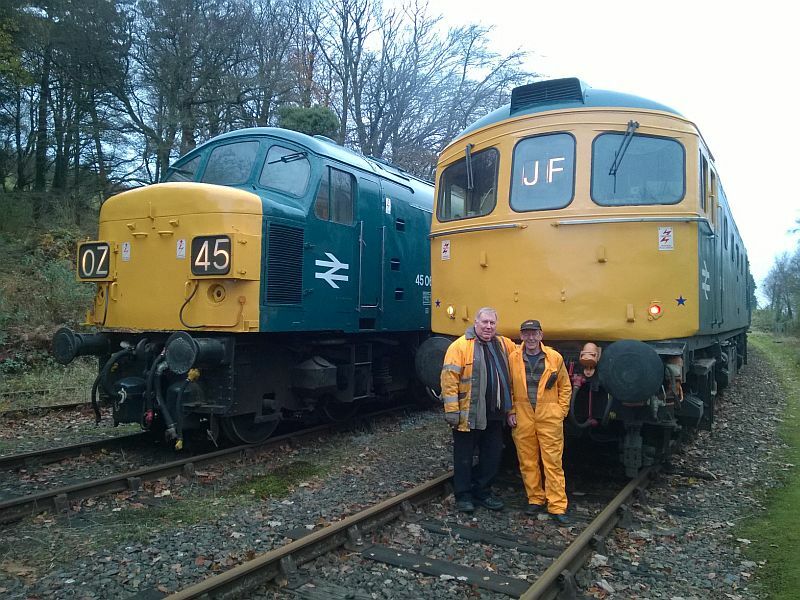 The traction available comprises 45060 'Sherwood Forester', and 33035, both owned and operated by the Pioneer Diesel Group, with support from DR resident 47828, owned by D05 Preservation. All are Sulzer-powered, the first 2 with Crompton Parkinson main generator and traction motors, the 47 with Brush electrics. Polar Express carriages A, B, C, and D will be used, along with the 'Rocket' generator coach. We hope to use 47828 on full length line runs at least once during the 2017 season though with a shorter rake. It would have to be at the Crediton end as per our safety management system.